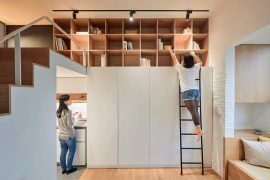 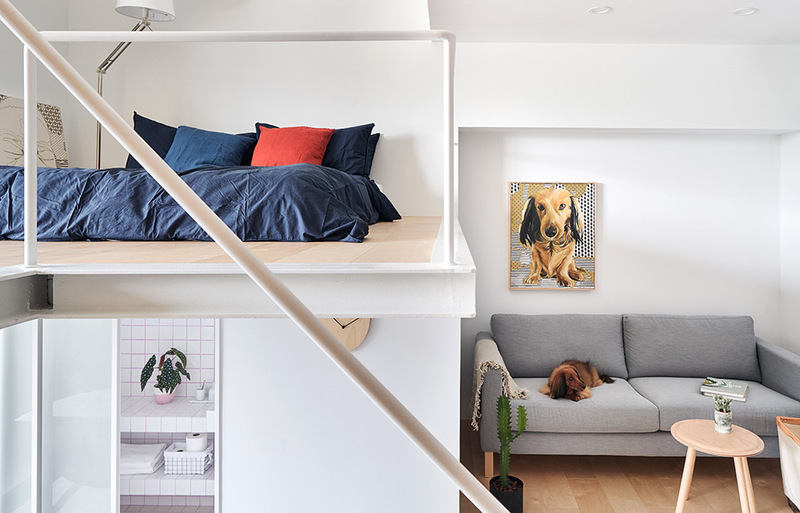 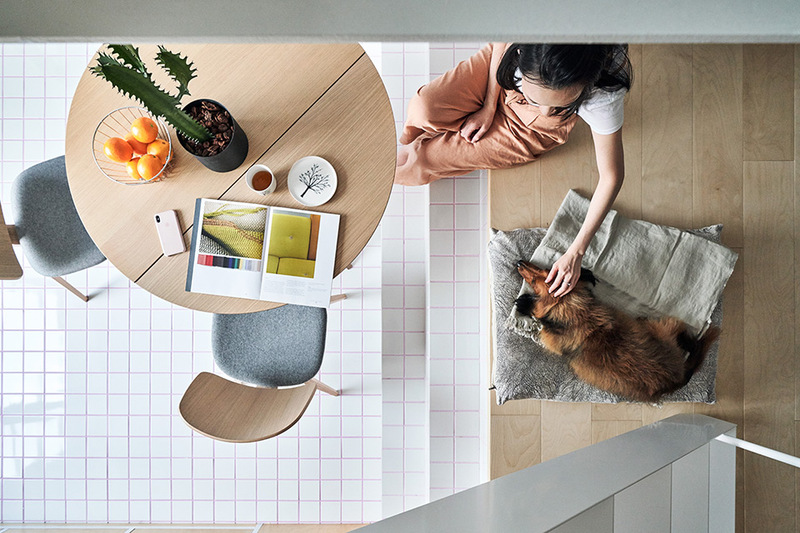 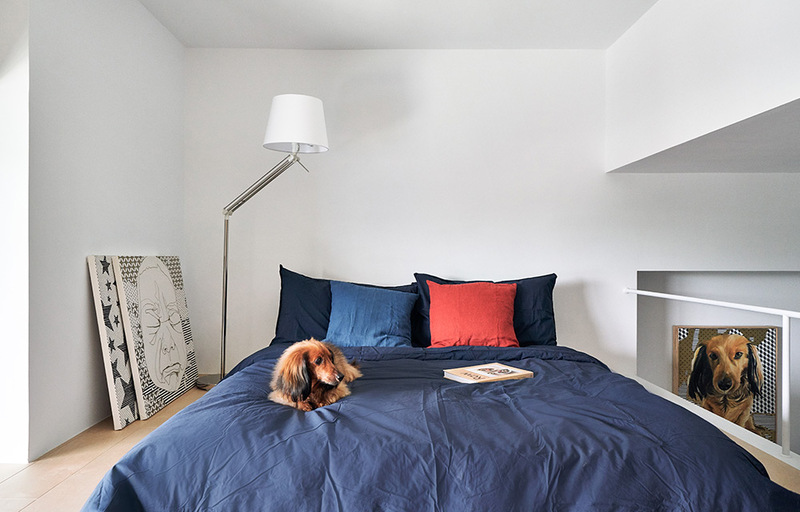 This tiny apartment located in a residential tower in the Muzha district of Taipei is a gender-neutral guest house prototype for people who enjoy smart living in a metropolitan city. 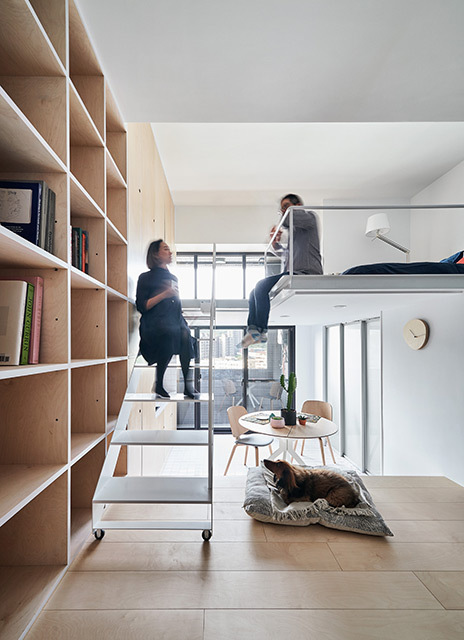 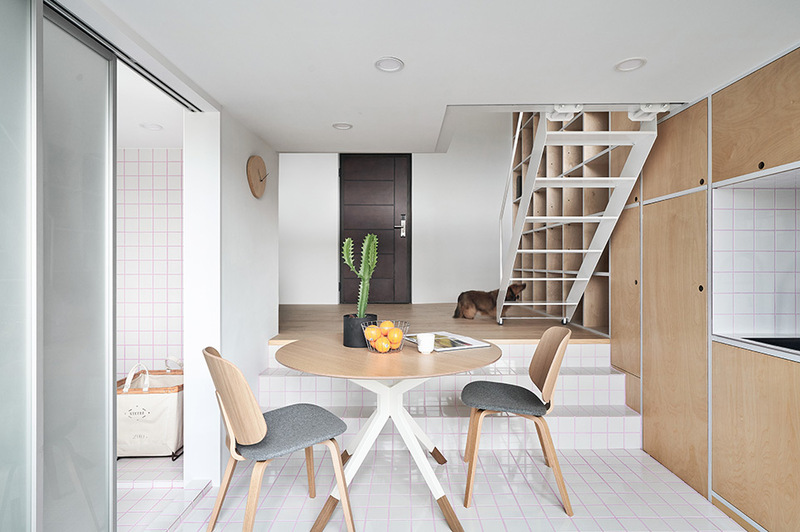 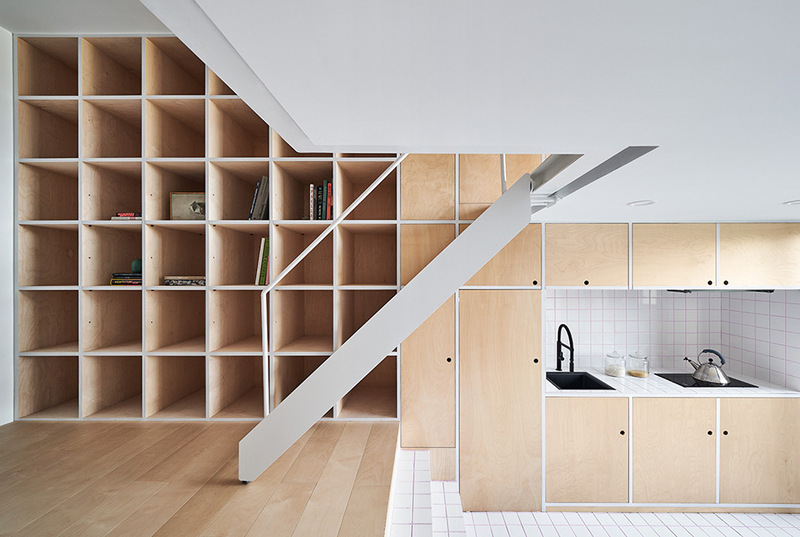 The Taiwanese studio Phoebe Sayswow Architects utilized its double-height ceiling to add a mezzanine level and increase the floor area to 33 sqm (355 sqft). 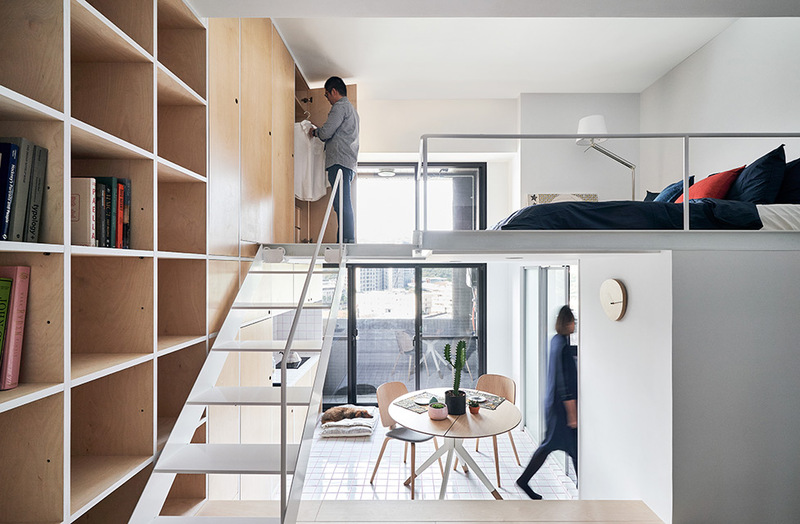 As a result, the apartment has three different levels comprising a living room, a kitchen, a dining area, a bathroom, and a sleeping area. 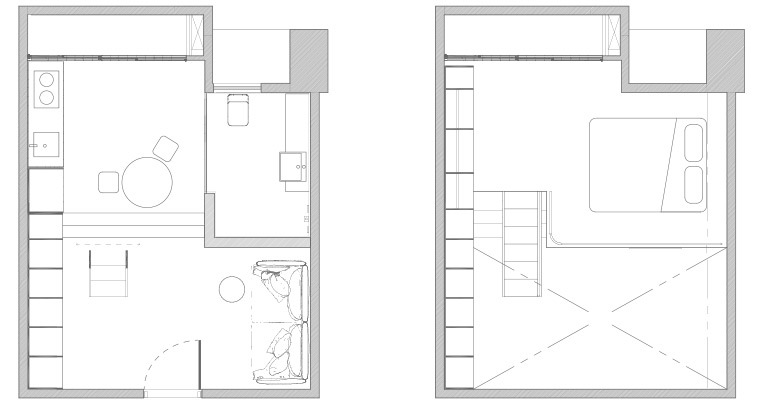 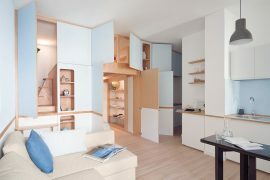 The open plan provides more light and creates more interesting relations between different areas inside the apartment. 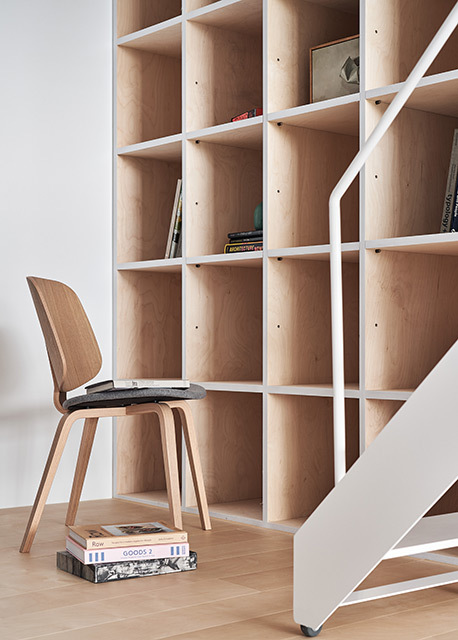 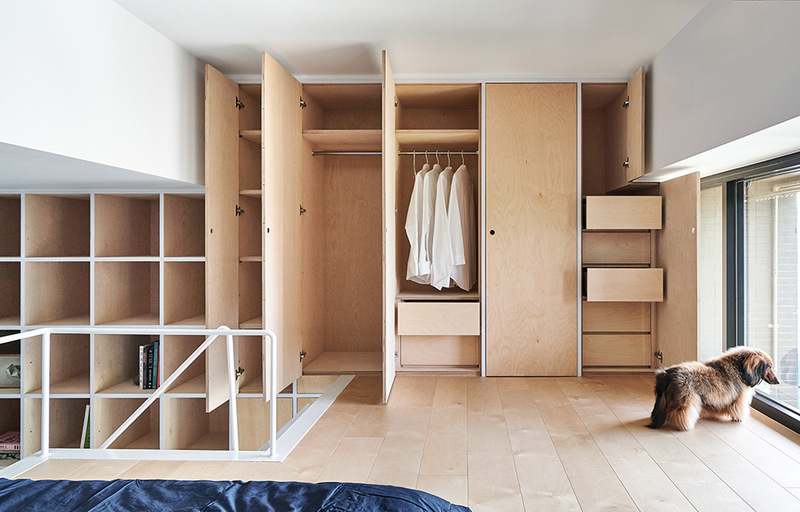 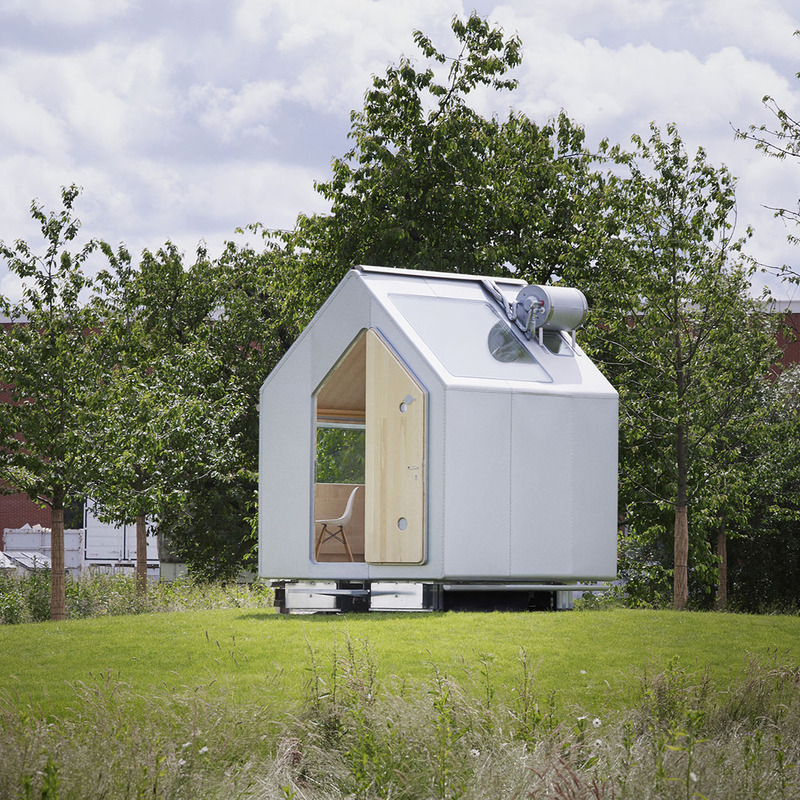 The design utilizes the combination of clean white surfaces and birch wood. 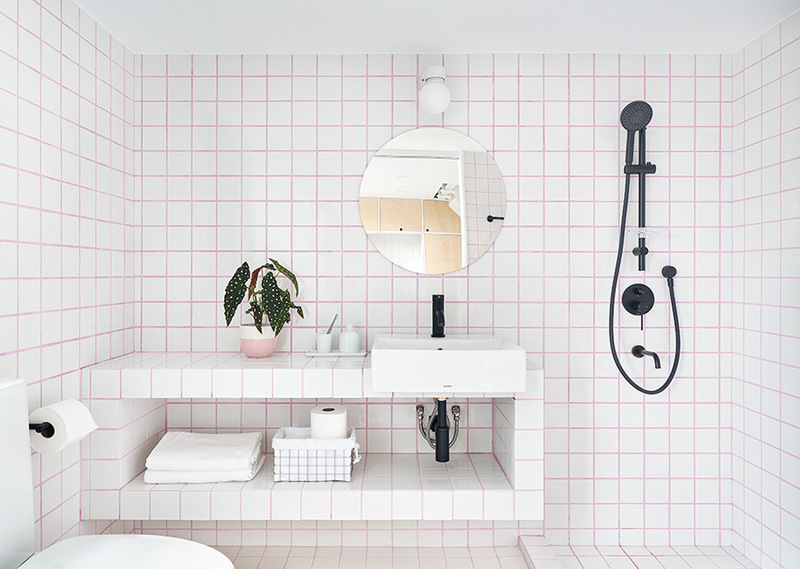 In addition, the lower level also features white glazed tiles with pale pink grout. 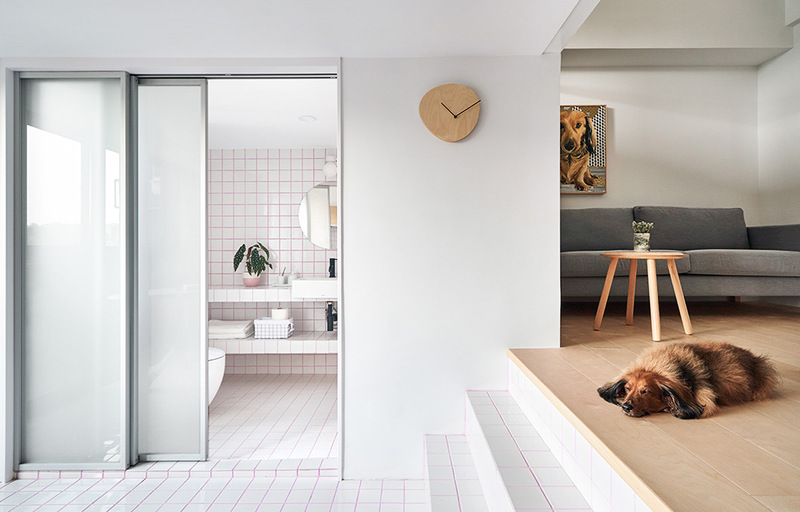 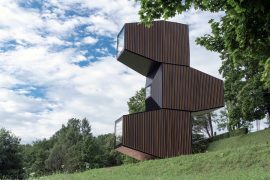 ‘Birch wood gives a sense of warmth and lives which calms people while the white glazed tiles is about pepping up spirits and rinsing one’s mind,’ said the architects.